Those in need of garage clearance services in Sydney, should look no further than our professional Sydney rubbish clearance services. As a professional rubbish removal company, we undertake garage clearance in Sydney, disposing of the waste while adhering to all the required regulations. You can rely on us to completely clear your garage, and dispose of all junk and waste legally and in an environmentally friendly way. By hiring us to clear your garage and dispose of the junk and rubbish, you can get on with the jobs you have to do, leaving the garage clearance side of things to the experts. If you are a company or an individual looking for someone to carry out a garage clearance in Sydney, then we are the people to call – we can completely clear your garage, and take all the junk and rubbish away to be disposed of, leaving you with a tidy space. By hiring our team to undertake your garage clearance, you can feel confident that you are hiring a professional rubbish removal service. All our workers are fully qualified and experienced in all areas of rubbish clearance, junk removal and waste disposal, as well as fully insured to be carrying out such tasks on your premises. We have earned ourselves an excellent reputation over the years, and pride ourselves in being punctual and reliable. Many property owners in Sydney looking for rubbish clearance services use us on a regular basis. 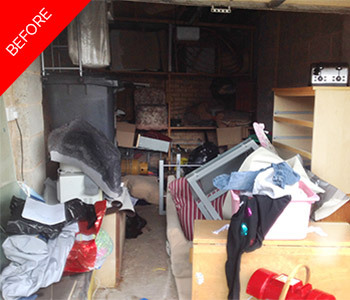 We clear garages for people who have just purchased property and want all the inherited junk gone, as well as people who have neglected garages and outbuildings who want them completely cleared. 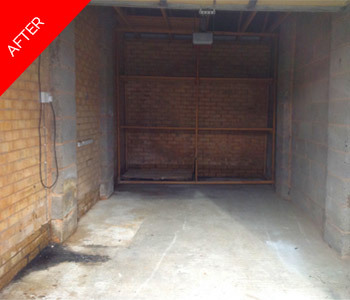 Either way, we are the people to call for garage clearance in Sydney. We have the right vans for the job, enabling us to take all the waste away that we say we can. We are highly experienced in rubbish collection, as well as our garage clearance service, and are able to carry out all work effectively and efficiently. Please don’t hesitate to get in touch with us if you have any questions, and hire us to collect and dispose of your garage junk.